When I need to buy boaty stuff, mostly exotic plastic string, I go to the local chandleries, of which we have two. Pictures below. 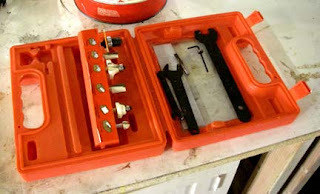 Mostly, I avoid these places since as anyone who has ever worked on a boat knows, if it's used on a boat it's twice as expensive as the same thing used on land. But it's not my point to gripe here. It's more about pointing out that Alamed is a two of town, kind of like the ark, it has two of every kind of business, two McDonalds', two voodoo candle stores, two Walgreens and of course two chandleries. Just thought I'd share photos. This is the West Marine store, a chain housed in what looks like it used to be a supermarket. 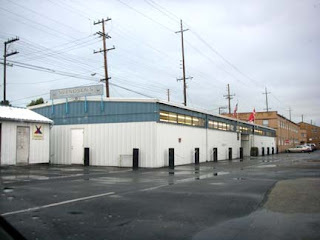 And this is Svendsen's, housed next to a marina where people are forever sanding fiberglass and applying more epoxy. I'm helping a friend install display panels at a sporting goods manufacturer's new headquarters. The manufacturer has been eminently successful and needed to expand their offices. I've heard of the brand before. I'm not sure what all they make. I think tents are in their lineup of goods. 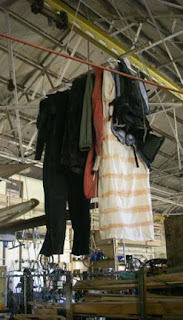 But like many of these outfits, they have discovered that the real money is in the rag trade, that is, clothing. And the clothing is outrageousely expensive. And each item of clothing is prominently emblazoned with the manufacturer's logo. This is nothing new of course. But like many things, one needs to see it in the flesh, at the source, to fully comprehend the physical reality of it. The formula for companies like this one seems to be as follows. Make some high quality sports gear which attracts a following, establish a recognizeable logo and then put that logo on everything from baseball caps to shirts to shorts to windbreakers to shoes. There's a finite amount of money in selling tents or rock climbing gear or whatever, but an almost unlimited amount of money in selling clothes. So the business model for kayak builders would be to create an attractive brand of kayak with a distinctive logo, then sell clothes with that logo on it. Then make more money selling clothes than kayaks to where you can make the kayaks just as a sideline to maintain the illusion that your business is about adventure rather than clothes. 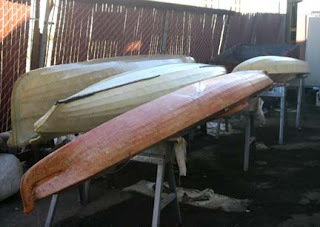 A friend of mine mentioned that he would be doing some extended sailing in a catamaran of his own construction. He has done extensive voyages before and run into some problems. This time he is reading up on survival at sea before taking off. 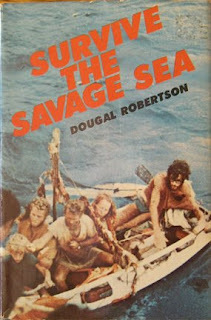 I offered to lend him some books from my own survival at sea library. I had them sitting on the shelf but never actually read them. So I decided it was time to read them. I got this book at Ralph Freese's Chicagoland canoe base. The canoe whose journey is chronicled by this book was sitting out back of Ralph's shop. This isn't a shipwreck story. 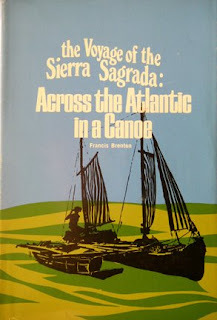 The author intentionally set out to cross the Atlantic with a canoe and outrigger. But his radio and navigation equipment quits on him and the adventure begins. The author runs short of food and water at some point but is in the shipping lanes and flags down ships who give him food and water. The sailors in the other books weren't as fortunate. They were not in the shipping lanes and got no outside assistance. 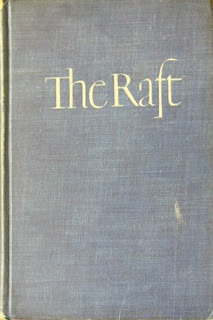 The raft is the story of three navy men in a 4 x 8 foot raft floating about for 43 days before they find land. This story takes place during WWII and their journey is complicated by the fact that they want to be picked up or find land, but the ship might be Japanese or the land, Japan occupied. In either case, these sailors fear for their lives. A family sailing somewhere to the west of the Galapagos islands has their boat rammed by killer whales which put a hole in their boat and caused it to sink. After that, they drift about in a raft and dinghy. Later the raft sinks and all of them end up in the dinghy. 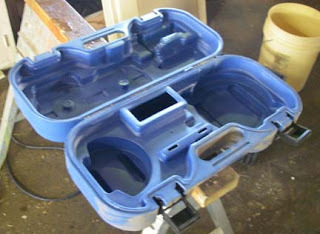 All three books are good reading and anybody who goes out on big water in kayaks will get something out of these books. The stories are scary but also instructive. 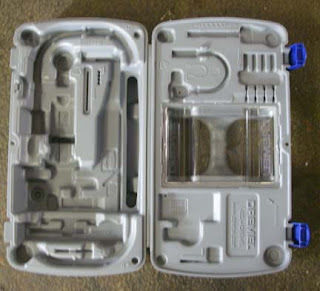 Survival at sea is possible. 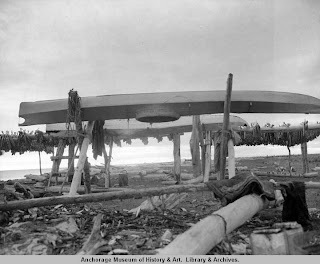 the black and white images are all from the U of Alaska, Fairbanks archives. I checked their website and there was no mention of special permissions to use the photos. Generally, museums are hard up for money and try to make some by selling rights for use of their photos for commercial use. Anyway, I aim to pursue this issue to set my mind at rest for future reference and whether or not to pull these photos off the blog in case permission is not forthcoming. I go vertical to maximize storage space at the shop. But elevated storage is nothing new. 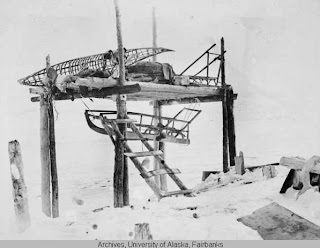 People of the Arctic were always fond of vertical storage. But it wasn't so much to save space as to keep animals from chewing on their stuff. Still, regardless of intent, the look is similar. 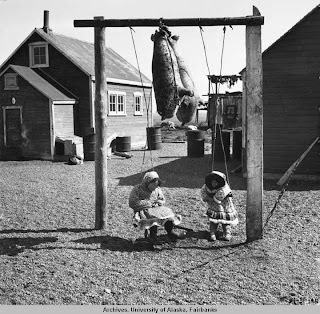 A sealskin poke hoisted on ropes. 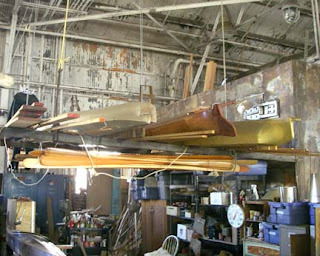 And kayak gear hoisted into the rafters. And boat yards then and now.